Chalet Clementine is situated in the Balcons 5 building. This position offers excellent access to the skiing, just 25 metres (approx) from the piste. The Plein Sud lift goes straight past the complex and competent skiers can enjoy the convenience of skiing practically to the door in good conditions. For beginners the shuttle bus stops right outside reception for access to the other lifts. 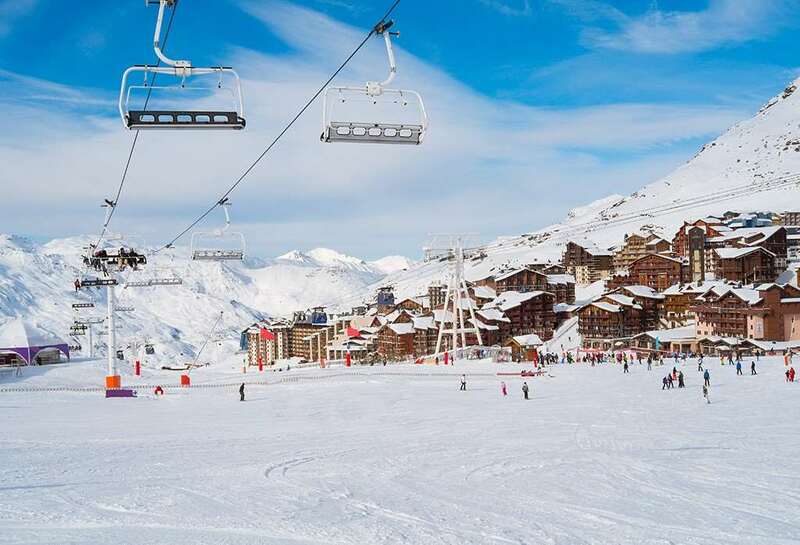 The shops and lively bars and restaurants of Val Thorens are just a short walk away. For guests’ convenience there are 2 restaurants, a bar offering snacks, a ski hire shop and a mini market within the complex. This chalet apartment is at the top of the resort of Val Thorens, offering excellent panoramic views across the valley. The décor is typically alpine in style with a spacious and light open living/dining area, wood burning stove and satellite TV. All rooms enjoy the bonus of en suite or private facilities, two with their own Jacuzzi bath. Guests staying in Chalet Clementine will also be able to use the infinity pool with fabulous views over the Val Thorens Valley in addition to the gym facilities, sauna and steam room. Wow! What an amazing holiday! Just got back from VT on Saturday. Still buzzing! Our chalet host Georgia was very attentive providing an excellent service with superb culinary skills. What I particularly like about the Clementine is that it has a large open plan living/dining room with large comfy sofas. Our room (room 1) overlooked magnificent views. Also the chalet is practically ski in and you can ski out the door on the bottom level. VT's Apres is 5 star! We started up at the infamous Folie Douce but with the advice of some friends who were working out there headed to the 360 bar most afternoons. Not only are drinks much cheaper but there is an excellent DJ and lots of big bean bags and deck chairs around to chill out. The snow was also top class seeing that it was the last week of March that we went. Not a bare patch in sight and all the lifts were open!